Locals and visitors, rejoice! There is near-nightly summer entertainment at Gypsy Hill Park, one of the jewels in the Staunton Parks & Recreation crown. Pack yourself a picnic and spread out on the lawn for a terrific evening of music and family fun. Concessions are available at all concerts and at Family Night Flix. 8 p.m. June through August: Find The Stonewall Brigade Band on the bandstand. It is the oldest continuous community band in the country, dating to 1855. Initially a brass band, now it’s a full concert band of at least 70 performers from the 120-strong roster of musicians. Each concert is different and includes a variety of genres. 7 p.m. in June and July: Praise in the Park is a series of concerts of Southern Gospel, Gospel Bluegrass, and Contemporary Gospel. Teen Night is June 26 and features the Covenant Band performing Christian Rock. Free pizza, drinks and giveaways for youth during this special event. 7 p.m. in July and August: Bluegrass! If you love a little pickin’ and grinnin’, this is the night for you. You won’t want to miss this series. Highlights to include the brother and sister duo, Marteka and William, performing in the styles of Lester Flatt and Earl Scruggs (July 18) and Little Roy and the Lizzy Show (August 15). 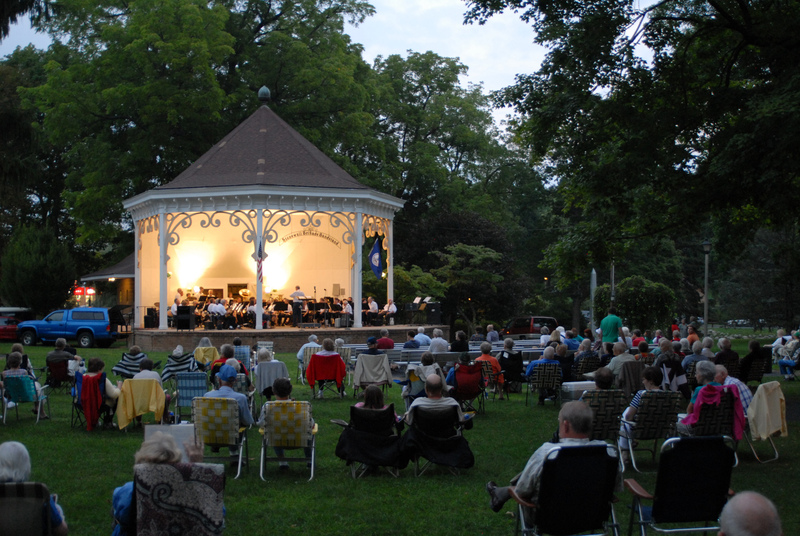 7 p.m. July and August: Jazz in the Park takes control of the bandstand to bring you exciting Big Band, Prohibition era jazz, Blues, and even a little Latin jazz this summer. Sentimental Journey Big Band kicks off the season July 5th with classic big band music. Other highlights include the Dave Braham Organ Trio and Quatro Na Bossa performing authentic Brazilian jazz. Hot summer nights will only turn up a notch when these exciting entertainers come to Staunton. June through August 4: Family-friendly movies under the stars create memories! Bring your kiddos and a big blanket to Family Nite Flix, lay back and watch new flicks: Coco (June 8), Jumanji (June 22), Paddington 2 (July 13), Peter Rabbit (July 27) and Black Panther (August 10). Movies start between 8:30 and 9:15 pm. 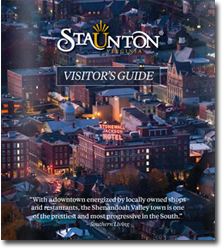 Saturdays and Sundays in Staunton’s parks are great for swimming, golfing, picnicking, hiking, and biking. Make these green spaces your summer go-to for unwinding any day of the week. Happy Summer!